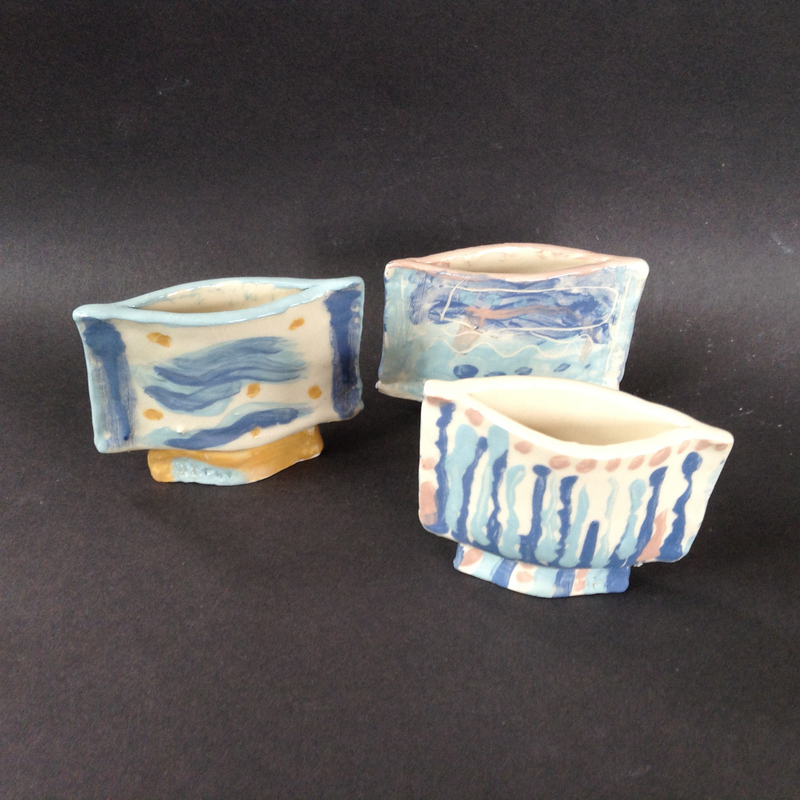 Last term we took inspiration from the work of potters in West Africa to give us ideas for large coil pots. The results have been amazing and our students have grown in confidence. On Thursday, 29th May a lovely group of children came along and took on the tricky task of making small flower vases. They had a great time and couldn’t believe what they managed to do in two and a half hours. Raku Firing Day: is going ahead scheduled for Wed. 16th August 2014. We’re busy getting everything ready. 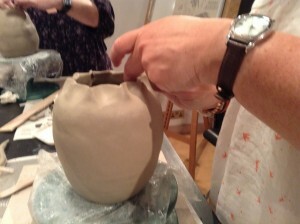 The Clay Class have been making pots over the last 6 weeks. These have to be fired first in the kiln. Then they will go in to our barrel bonfire kiln along with seaweed and banana skins….for about 6 hours while we have a nice time in the garden. Watch out for pictures. Has anyone in Gamlingay got any seaweed? Thursday, 26th June 2014. Japanese Workshop at Samuel Whitbread Academy. The Art Barn spent the day at Samuel Whitbread Academy today working with some wonderful Year 9 pupils and some very talented young people from Alban, Etonbury, Robert Bloomfield and Henlow Academies. 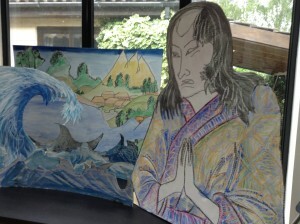 Their fantastic Japanese work will be on display at the Samuel Whitbread Arts Festival on Monday 7th July from 6.30pm. Thankyou Whitbread for hosting the workshop. What a lovely school! Thursday, 19th July 2014. Japanese Workshop. We were joined by several teachers from The Beeches Primary School today. Hands on. Action packed. Fab results. A great day. There is another opportunity to do this course again on Thursday, 3rd July. Please contact us if you would like to join us. If you are interested in Japanese art, you won’t be disappointed. Twilight Training: SPACE. for a group of local teachers. In the 2 hour session we developed four different ideas linked to the topic of SPACE. They were delighted with the results and took away lots of new ideas to use in the classroom.